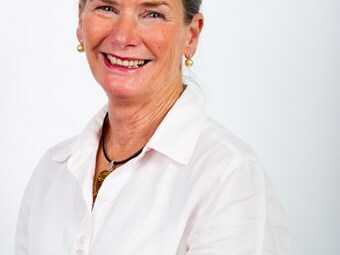 Metro Tasmania has announced Lynn Mason as the new Chairperson of the organisation. Mason was first appointed as a Director of Metro in 2008 and was appointed as Acting Chairperson in May this year. Mason says it is a challenging but exciting time to be taking up the role. She says innovations such as the Turn Up and Go Transit Corridor trial starting on Sunday and a soon to be launched state-wide patronage campaign are among measures aimed at bringing people back to public bus transport. Metro is also undertaking a major workplace project involving all staff, the Chief Executive Officer, management and the Board which would benefit employees and improve services to customers. Mason is Chairperson of the Tasmanian Community Fund, a Director of Furneaux Aquaculture Pty Ltd and is a partner in the partnership of JM and NL Mason which owns and runs grazing property in Carrick and on Flinders Island. She is also a director of Crime Stoppers Tasmania. Mason is past President of the Local Government Association of Tasmania, past Mayor of Flinders Council and past Senior Vice President of the Australian Local Government Association. Mason’s appointment was made by the shareholder Tasmanian Government Ministers: the Premier and Treasurer Lara Giddings and the Minister for Sustainable Transport Nick McKim.